Ooh Aah Dracula is a 5 reel, 10 pay line slot from the software developers at Barcrest. This game can be found in bookies and pubs around the UK. The game itself offers a ghoulish theme that is also available to be played on mobile and tablet devices. 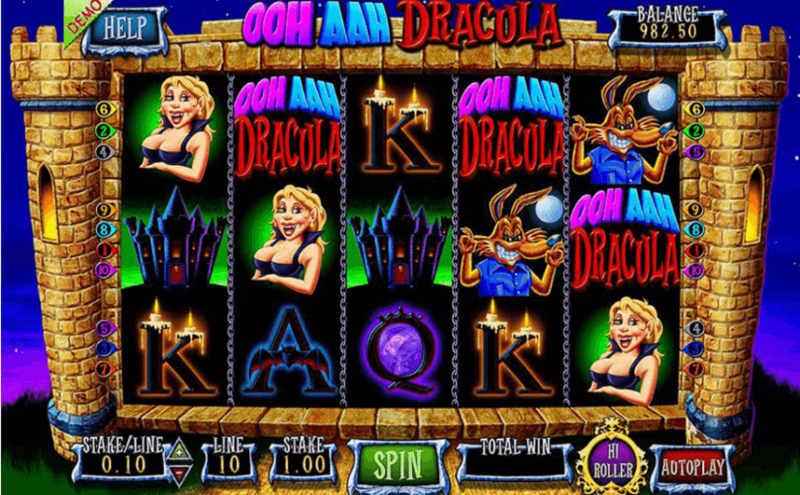 Ooh Aah Dracula is complete with a great Free Spins feature which players can activate by landing three or more heart scatter symbols anywhere on the reels. Landing three or four of the heart symbols on the reels sees players awarded with a bonus respin which is known as the Heart Attack Bonus feature on the reels where the bonus symbol dosen’t appear. The reels that are devoid of the heart symbols provides the player with the chance to get further heart symbols and therefore upgrade the level of free spins.